Cost: £36 for the version coated in white plastic. £60 for stainless steel. 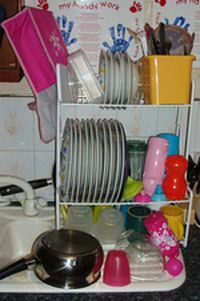 A three-tier plate rack. (Size: 525 x 412 x 250mm.) The top tier takes side plates and bowls, the middle tier takes plates, and bottom shelf takes mugs, etc. Slide-out tray for catching drips. I just haven't had much desire to own one myself. Then again, that's maybe because for the last ten years I've been using one of these dish racks. It can hold a day's worth of crockery from a family five, so I seldom have to do much drying. This halves the time it takes to do the washing-up by hand. The rack is so strong and accessible, I don't even have to bother unloading half the stuff - I remove things as I need them and only put away what's left when it's time to wash-up again. It's tempting to buy a second one and use them in rotation so when it comes to washing-up time, one's empty and the other's full of dry stuff to use. Honestly, it's great. The only downside is that if anyone offers to help with the washing-up there won't be much for them to do except stand around getting in the way. Get them to go clean the shower or something. Conclusion: The best dish drainer ever. Almost eliminates the need for dish cloths. 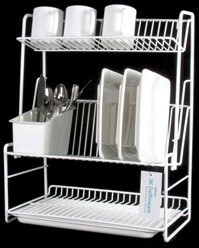 Holds twice as much as other dish racks while taking up half the space. Suitable for using to store crockery as well as as a dish drainer. If you have cupboards above your worktop, the rack won't fit underneath. Stuff on the bottom can take a while to dry. 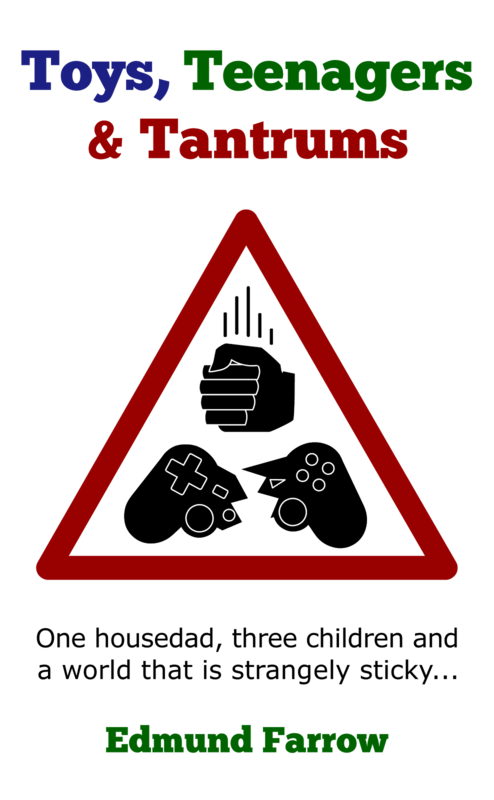 You'll have to find a stockist. Doesn't cope with every type of bowl (notably including those brightly-coloured ones from Ikea everyone has). Just discovered that the 'links' section of the Delfinware website gives some online suppliers.